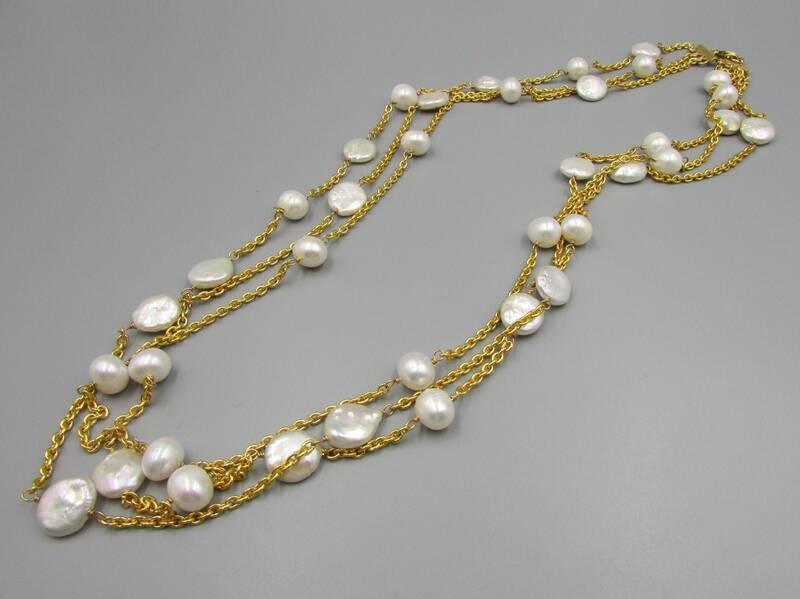 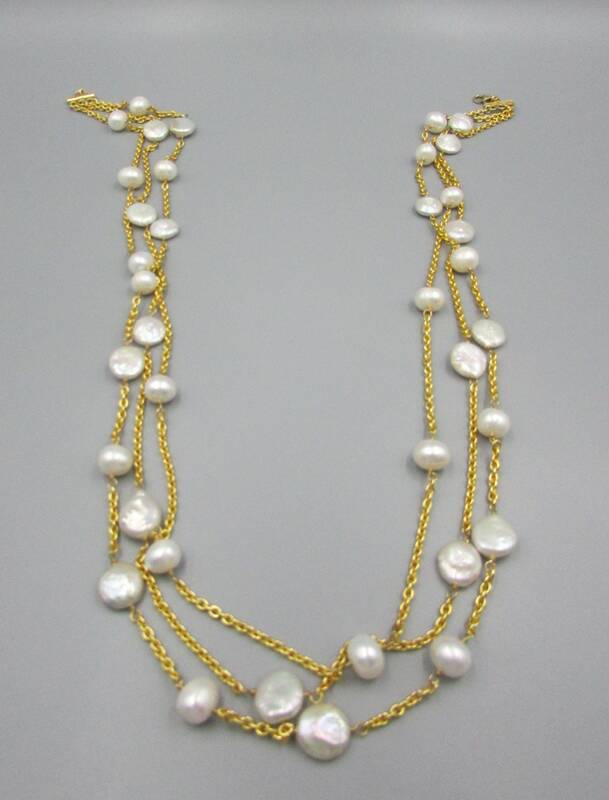 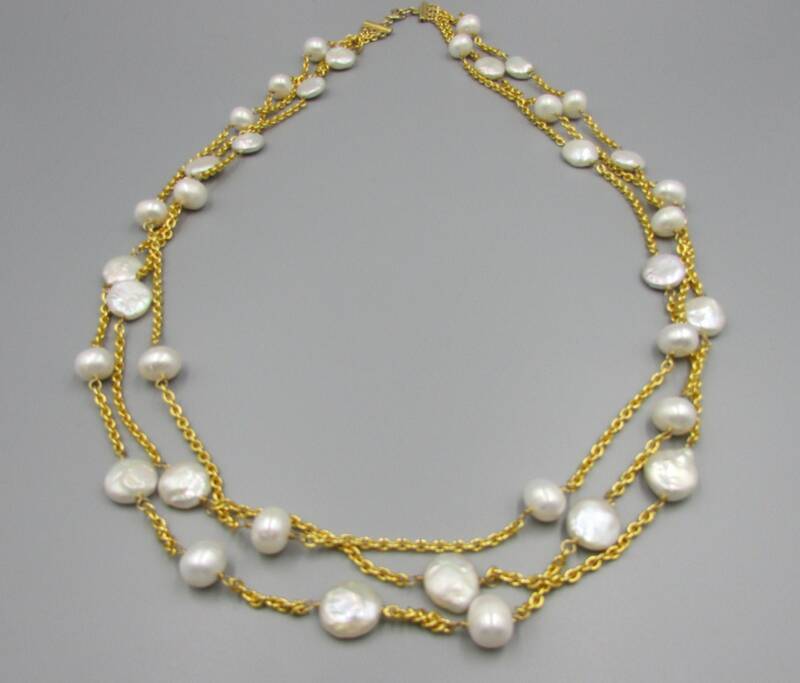 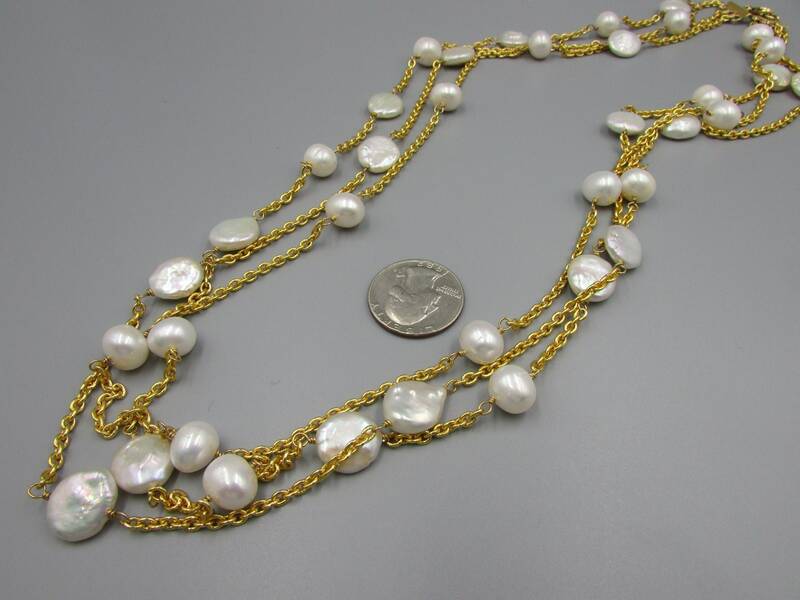 This stunning triple strand layered pearl necklace is created with high quality gold chain and hand wrapped AAA white freshwater coin pearls and AAA white potato freshwater pearls. 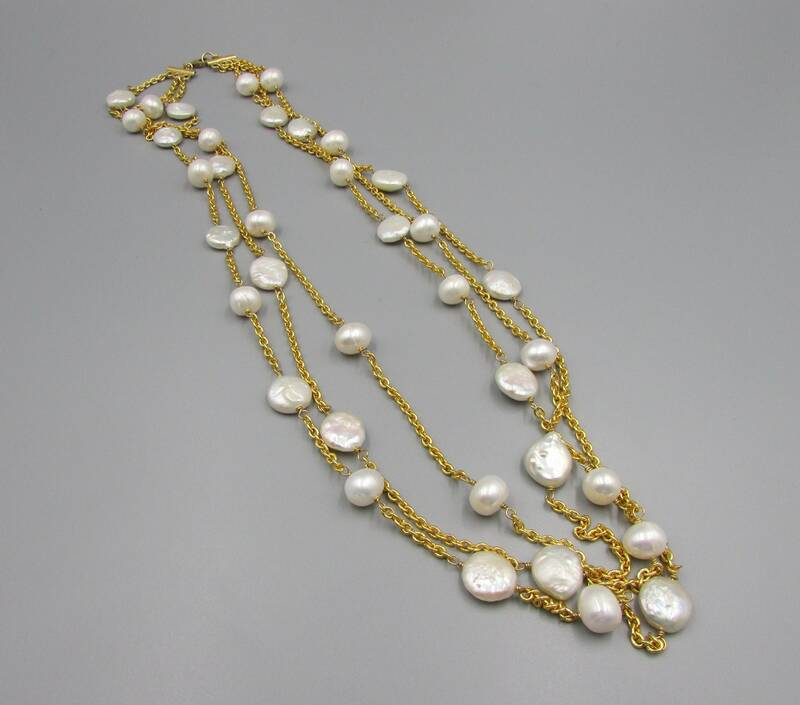 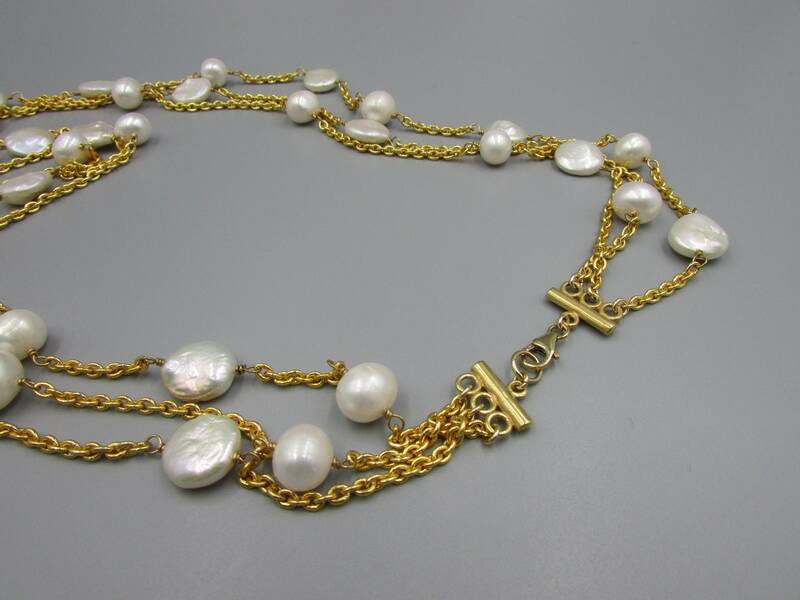 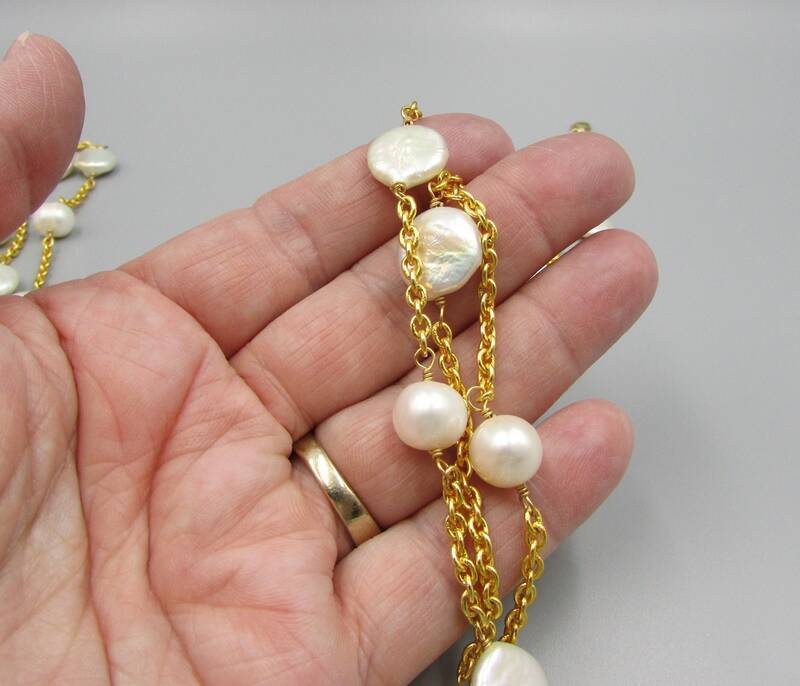 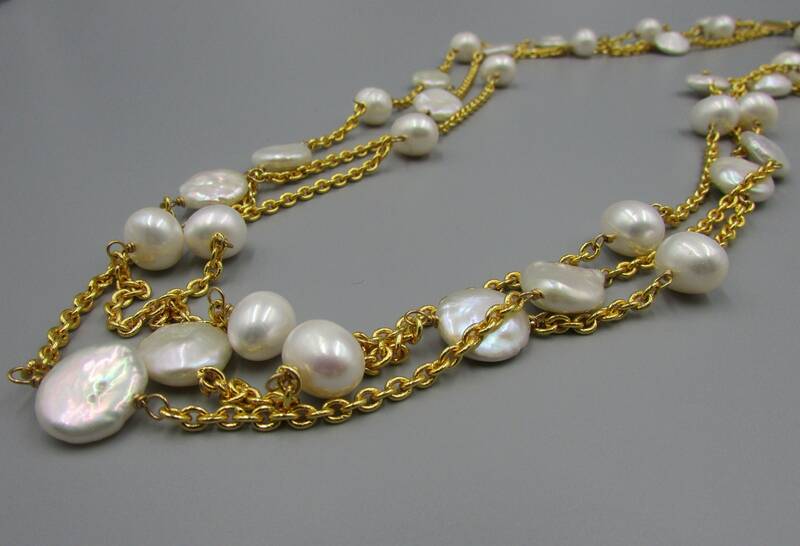 Each pearl is carefully hand wrapped with gold filled wire and attached to gold chain and finished with a gold triple strand connector and gold filled lobster clasp. 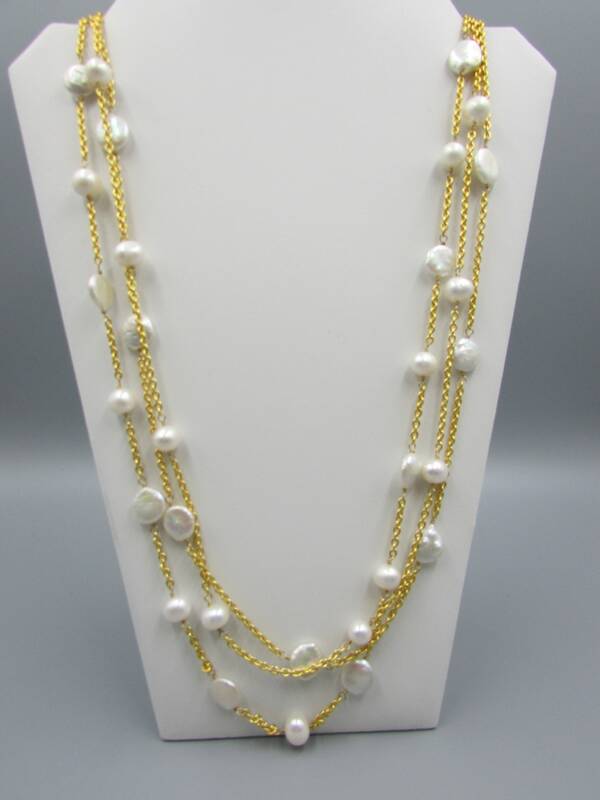 Each strand lays gracefully together making a beautiful statement necklace.